Prof. John Szwed’s new biography of Alan Lomax, the American folklorist and ethnomusicologist, is in, and available in CLIO, under call number ML423 L6347 S98 2010, and it promises to be a thoughtful and entertaining read. Szwed is a noted anthropologist and jazz scholar, professor in the Music Dept. at Columbia, and also Acting Director of the Center for Jazz Studies at Columbia. You can read the New York Times’ recent review at this link. 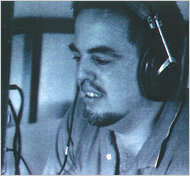 Interested in checking out some of Alan Lomax’s many recordings? You can search in CLIO under keywords= Alan Lomax, and then limit your search to music sound recordings. You’ll see a list of over 120 available recordings (which can be checked out for 4 weeks). There are also several recordings by Lomax available in the online audio databases American Song, and a few in Smithsonian Global Sound. This entry was posted in CU Community Publications, New Acquisitions, Popular Music and tagged CU Community Publications, New Acquisitions, Popular Music on February 2, 2011 by Nick Patterson. Naxos Music Library , available through the Columbia University Libraries, has added new content from the label Varese Sarabande to its collection. Varese Sarabande specializes in film and television soundtracks; content offered includes film music by noted composers such as Bernard Hermann, Duke Ellington, Elmer Bernstein, Jerry Goldsmith, and James Horner. Titles include “North by Northwest”, “Jaws”, “Star Wars”, and “Music from the Classic Godzilla Films, 1954-1995”. Check it out! This entry was posted in Audio, E-Resources, New Acquisitions and tagged Audio, E-Resources, New Acquisitions on September 23, 2009 by Nick Patterson. The Butler Media Center has announced that ca. 2,000 film titles on DVD are now available and can be checked out by enrolled students, faculty, and staff. This addition to its already impressive research collection. Full details are available on the Libraries Spotlight blog and on the Media Center home page. Note that you can use the “Post Limit” feature in CLIO to select library location “Butler Media (Circulating)” from the list of libraries, if you want to see just the circulating DVDs in your results. Also, a reminder that the Music & Arts Library also offers over 1,000 circulating DVD titles on diverse musical subjects, including musical works and performances, dance, jazz, popular music, and more. Music & Arts Library DVDs, which are identified by the “MUSDVD” call number prefix, can be checked out by full-time students, faculty, and staff for 2 weeks. They can be browsed in CLIO by choosing search type “Call Number Exact” and typing in “MUSDVD”. Or, use a keyword search, with quick limits set to “Video Recordings” to find specific artists, titles, countries, and (up to a point) musical styles. Note that the “MUSDVD” call number is for Music & Arts Library DVDs, while plain “DVD” call numbers are generally at Butler Media. Contact music@libraries.cul.columbia.edu if you have questions about more detailed searching for music. This entry was posted in New Acquisitions, Video and tagged DVDs, New Acquisitions, Video on September 17, 2009 by Nick Patterson. 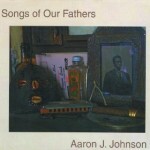 Songs of Our Fathers, a recent CD by Columbia doctoral candidate Aaron J. Johnson, has just been cataloged and added to the collection. It features Aaron as composer and trombonist. It’s available under call number CD16170, and is a great listen. Check it out! This entry was posted in CU Community Publications, New Acquisitions and tagged New Acquisitions, Recordings by Columbia Community on March 17, 2009 by Nick Patterson.